Who Does This Speaker Appeal to? Conclusion – Is The Mackie MR5 MK3 Right For You? 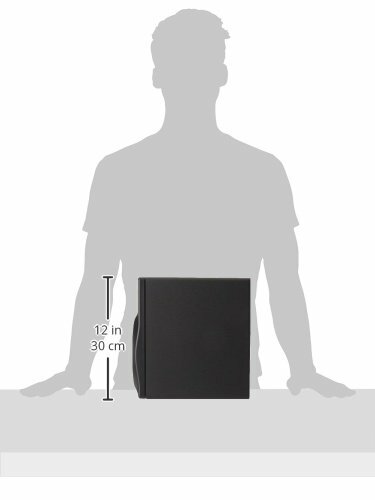 What Are The Best Speakers For A Church Sound System? It is very important to own a high-quality studio monitor when you are a musician. You are going to need to have access to a studio monitor that can give you the professional sound quality that you are seeking. If you want to record or compose music, then owning one of these studio monitors will be an essential part of the process. There are a plethora of different options on the market to consider, though. Sometimes it can be tough to narrow down which studio monitors are going to be worth your time. 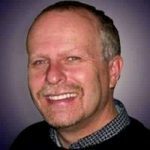 Taking the time to look over the different options can feel overwhelming if you are not good at focusing on particular products. Thankfully, you can take a look at a review of one of the more popular studio monitor options on the market right now. 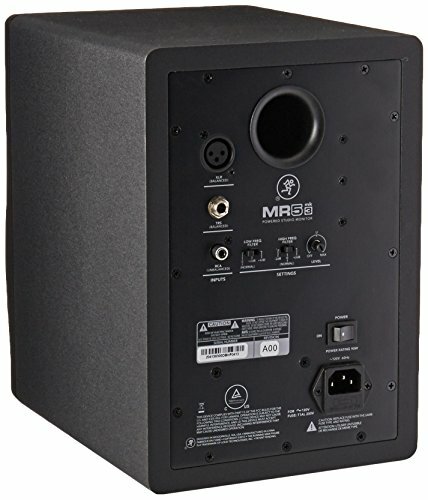 The Mackie MR5 MK3 is the third iteration of a popular series of studio monitors. The Mackie MR5 MK3 is going to be a great asset to anyone who needs a high-quality studio monitor. It is going to be a perfect piece of equipment to own for any musician and it has a broad appeal that reaches beyond that as well. This two-way powered studio monitor could be just what you need to have the best audio experience possible. Read on to take a look at everything that this unit has to offer so that you can see if it is the right one for you. It should come as no surprise that studio monitors of this quality will appeal to musicians. Any musician who needs to record audio will love being able to rely on a studio monitor such as this. It produces the clear, precise sound that you need in order to get things right. It will work well in any type of home studio and can even fit in at more professional environments. A 5” studio monitor of this level of quality will definitely be useful for any live sound setup too. If you are trying to set up an audiophile sound system for a small venue, then studio monitors such as this will come in handy. They are easy to work with and they produce the clear sound that you need. It can be a great addition to any sound system. People use these types of studio monitors in churches quite frequently as well. 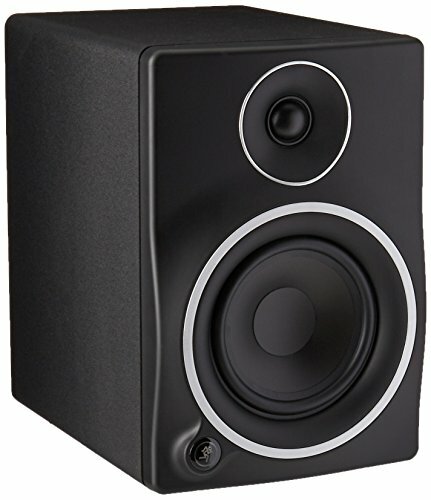 These types of studio monitors can help the praise and worship music to be presented with the proper power. If you want to enjoy a beefy and inspiring sound in your church, then you will truly love this studio monitor. It can work brilliantly in a church setting to improve the overall sound quality. It would not be unusual to see people using these studio monitors in their home sound systems as well. People who consider themselves to be audiophiles will definitely be able to make good use of this unit. It can work to help you enhance your home theater system if you so choose. Your movies, video games, and music will sound immaculate when you use a studio monitor such as this. You will only be getting one studio monitor in the box when you purchase this product. It is not going to come with any extra cables or other odds and ends. You should take the time to order any specific cables that you may need in order to integrate this into your sound setup. It is pretty normal for studio monitors to come without any extras so it isn’t unusual in any way. As you would expect, this studio monitor is really good for studio applications. If you are a musician who has a home studio, then you will be able to make good use of this unit. It is capable of providing you with the right clarity that you need. Your audio will be crisp and it will make recording sessions a lot easier. It has an enhanced waveguide system that can deliver unmatched clarity. The openness of the sound and the overall quality make it a very worthy purchase. This is a professional-grade studio monitor that works excellently for musicians and is also perfect for multimedia purposes. The amps and drivers of this unit are perfectly matched up. This makes it simple to optimize each performance. If you plan on using this for live applications, then it will make things as easy as possible. It has flexible inputs that allow for simple connections to almost any audio source. It’s perfect for people who need to be able to hook up a studio monitor to multiple types of audio sources. You will also be able to enjoy customizable frequency control for your studio space. This unit has the robust options that you need from a studio monitor. It will work well in any setup and can give you enhanced audio quality. If you have been looking for a cost-effective studio monitor option, then this one is very nice. If you want to find a good alternative to the Mackie, then you should consider looking into PreSonus Eris E-5. This is a two-way studio monitor that may be preferable in some ways when compared to the Mackie. Both of these studio monitors are a great value so you should consider them both. Either way, you will be getting a quality product that will work well for your needs. The Mackie MR5 MK3 is a very good two-way studio monitor. You can use it in the studio or you can use it for live applications. Whatever your needs are, this is going to work out very well for you. It has a reasonable price and it offers you a lot of good features. This will be perfect for any audiophile or musician. There are comparable options on the market to consider as well. Which one is going to work out the best for you will largely come down to personal preference. If you want to consider the PreSonus Eris E-5, then that is also a remarkable product that should please you. It just goes to show that you can get a quality studio monitor at a reasonable price.